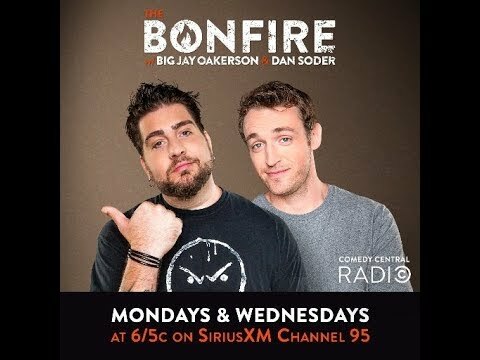 Hosted by comedians Big Jay Oakerson and Dan Soder, The Bonfire invites listeners and friends to come and hang out by the radio bonfire as the blunt and candid duo talk about everything from comedy and entertainment to sports, sharing their funniest stories from the road and giving fans a chance to call in and get their opinions on the topics of the day. If you're having problems with Zippyshare, use a different browser or clear cookies and cache and try again. If an ad pops up when you hit download just exit out of it and click download again. Sometimes it bugs out for people and the ad pops up. It only pops up once and after you exit the ad you can download it. It works every time.